One Case. Four Proofs. 2x Battery Life. Last longer. Go farther. Push harder. After a grueling climb, epic ride or monster set, your body and phone battery may be spent. But, the iPhone 6 battery case extends the action. Hit the power button, find your second wind and charge ahead! Steaming music, navigating routes, documenting adventures — your favorite apps blow through your phone's battery. LifeProof FRē Power doubles your uptime with its 2,600-mAh battery. When the day goes long, the iPhone 6 waterproof battery case delivers a jolt of energy to extend the journey. To keep your display in pixel-perfect condition, FRē Power iPhone 6 battery case uses a built-in screen cover. You barely notice that it's there — but you're glad it is when you head towards the great outdoors. 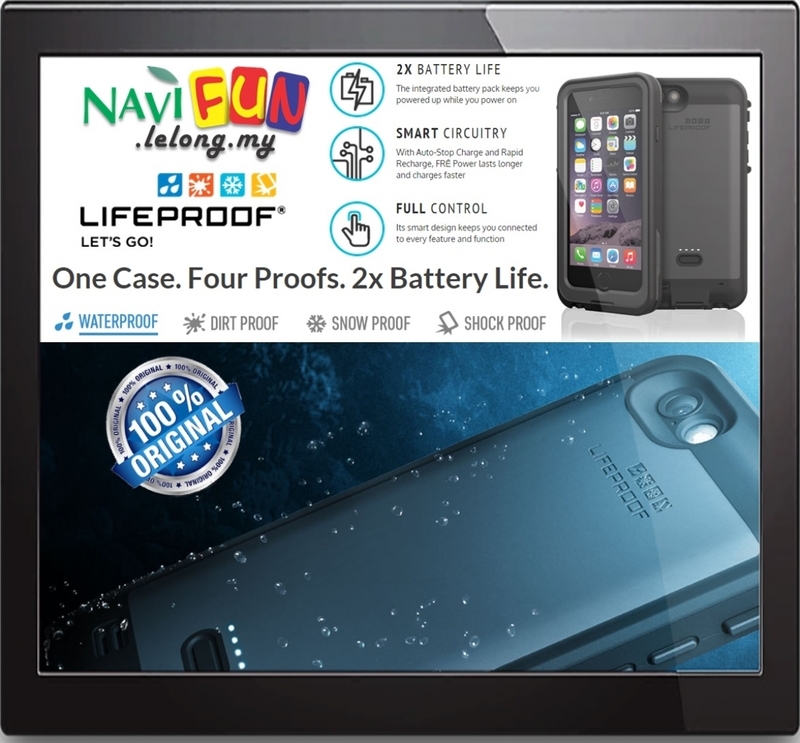 With Rapid Recharge and Auto-Stop Charge technology, the waterproof battery case for iPhone 6 powers up fast and preserves its charge. And, all these advanced feature fit into an incredibly compact case. Every port, button and feature on your iPhone stays in play. Plus, FRē Power is outfitted with an optical-glass lens and Sound Enhancement System to ensure perfect pics and bumping beats.